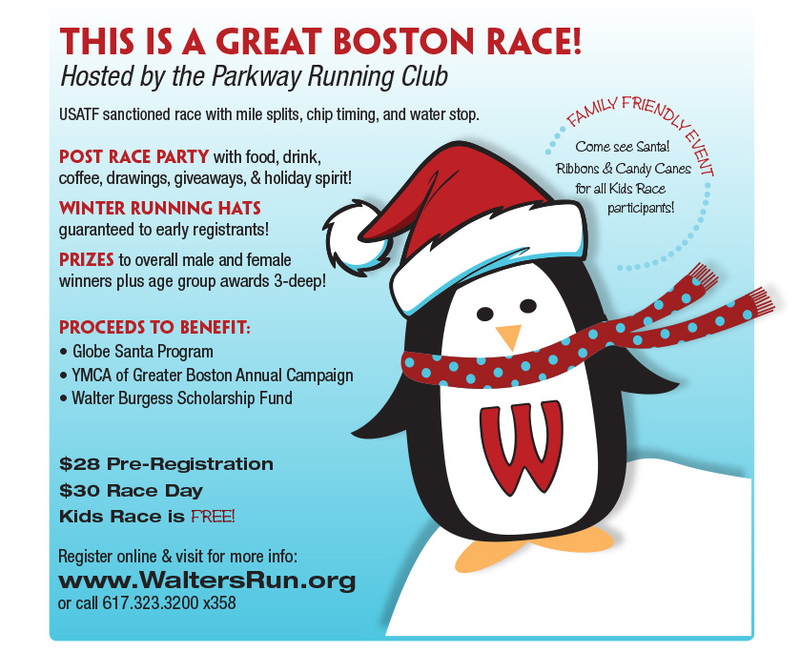 Boston’s Best Holiday Race in our 24th year! Thanks to all 2018 Walter’s Run racers, volunteers, sponsors and spectators! With your help, we donated $10,500 to three local charities! Registration and pre/post race festivities at the Irish Social Club, 119 Park Street in West Roxbury, just a block from the race start/finish. Our Race Day Logistics page will keep you up to date! Raffles: Remember to bring a few $$ to enter our raffles. Rolling course thru the West Roxbury neighborhood of Boston. Online registration closes Saturday 12/8 at 5pm. Kids’ Fun Run is on Bellevue Street, start time at 10:15am. The Kids’ Fun Run is free but registration is required. Parents – please pre-register all kids. Follow Paulie the Penguin to the race start! 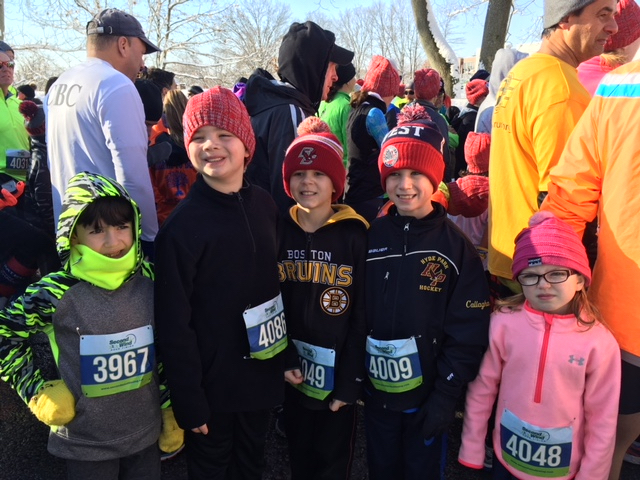 Hot chocolate, ribbons and candy canes to all Kids’ Fun Run participants. Kid friendly pre and post race festivities. The Best Runner Goodies Around! 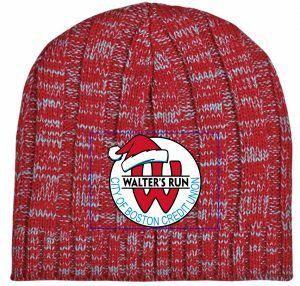 Winter running hat guaranteed to early pre-registered 5k runners. Silent auction, raffle prizes and giveaways. Directions – click for more info and maps. Raffle sales end at 11am. Silent auction continues until noon.